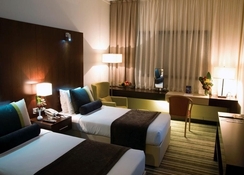 If the idea of shopping allures you while enjoying a holiday, Avari Dubai hotel in Deira is a nice choice. 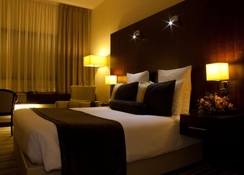 The hotel is in the commercial centre of Dubai and it has spacious rooms and Spa to add to your holidaying experience. There are 178 air-conditioned guest rooms in the hotel and the rooms are conveniently soundproof; which means even though you stay at the city centre, you won’t have to worry about the noise. General amenities provided in the rooms are LCD TV with cable channels, rollaway/extra beds, tea/coffee maker, minibar, safe, phone and free Wi-Fi. 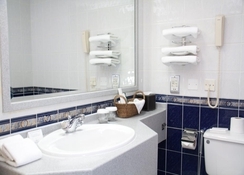 The en suite bathroom features shower-tub combination, bidets and has hair dryer. 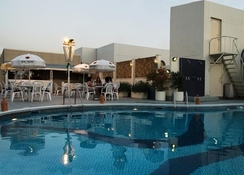 The hotel has 2 restaurants - The Olive Tree and Cinnamon Cafe. The former is open round the clock and serves buffet style dining as well as à la carte menu. Take a dip in the rooftop swimming pool or soak in some sun shine lying on the sun beds around it while enjoying the city view. 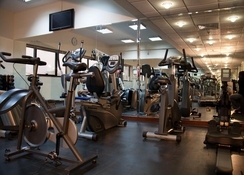 The hotel also has fitness centre, sauna and steam room that would help you keep fit and fresh during your stay. An oriental nightclub at the hotel is a nice place for nightlife whereas you can experience some adventure with water sports like wind surfing and water skiing at the Jumeirah beach. 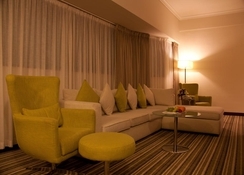 The hotel is located in Deira, the commercial centre of Dubai which is close to several shopping areas and about 15 minutes drive from the Dubai International Airport. The bustling street of Al Rigga is just around the corner whereas the Al Rigga Metro station is only 8 minutes’ walk away. 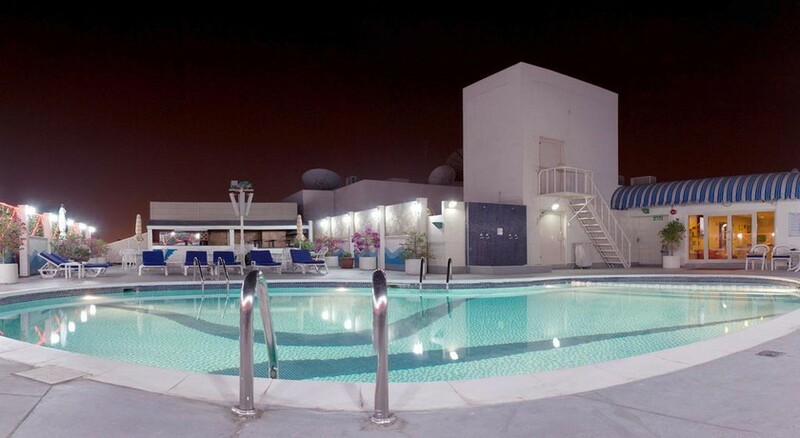 You may explore nearby tourist attractions like Hamarain Centre and the Dubai Creek.